Little Miss is quite the personality lately. In fact, she practically rules the roost. Here's about 10 seconds of her shenanigans captured on my iPhone yesterday. She is sweet, silly and sometimes waaaay too sassy! I love watching kids in action. Darn cute they are! 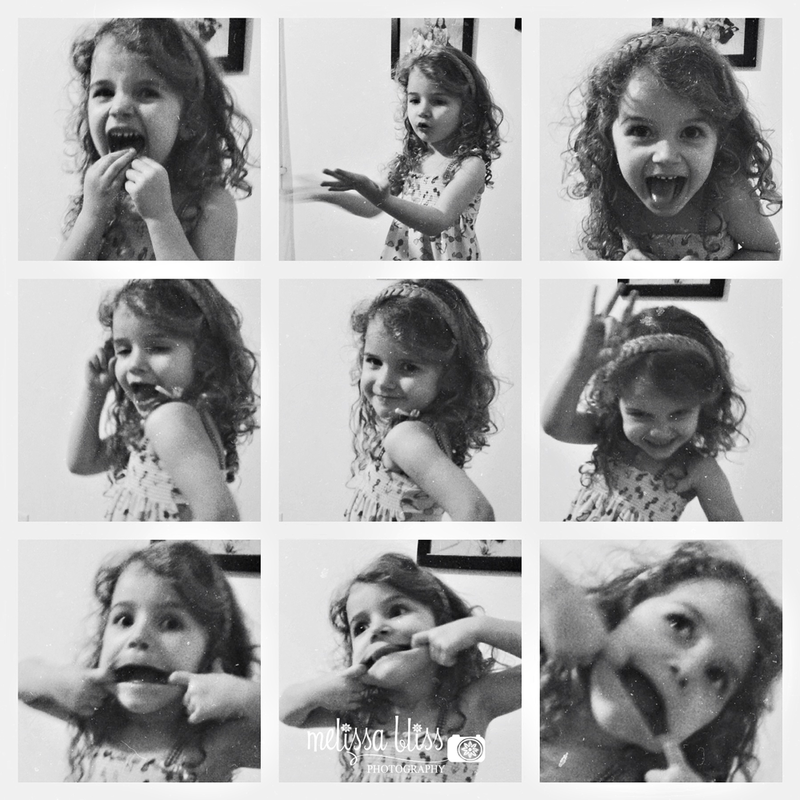 What a great series of expression, Melissa! These are so cute! That one is the middle is just adorable!